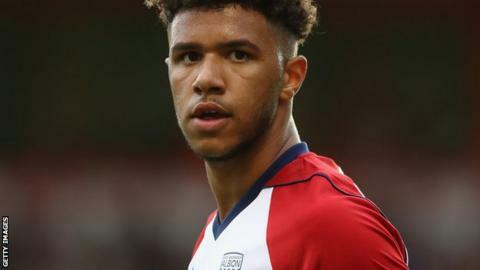 Walsall have signed teenage forward Tyler Roberts on loan from West Bromwich Albion until January. Roberts, 18, is the Saddlers' seventh signing of the summer and could make his debut against Bradford on Saturday. He had loan spells at Shrewsbury Town and Oxford United last season. "He's been one of our key targets through the whole of the summer. He'll be a very important member of our squad," Walsall boss Jon Whitney told the club's website. Welshman Roberts links up with his West Brom team-mate Shaun Donnellan, who joined Walsall on loan from the Baggies on 8 July.